Jean-Baptiste Bezelgues and his teacher wife Celine are originally from France. They came to Beijing in 2012, having been assigned here by his employers Nestlé. 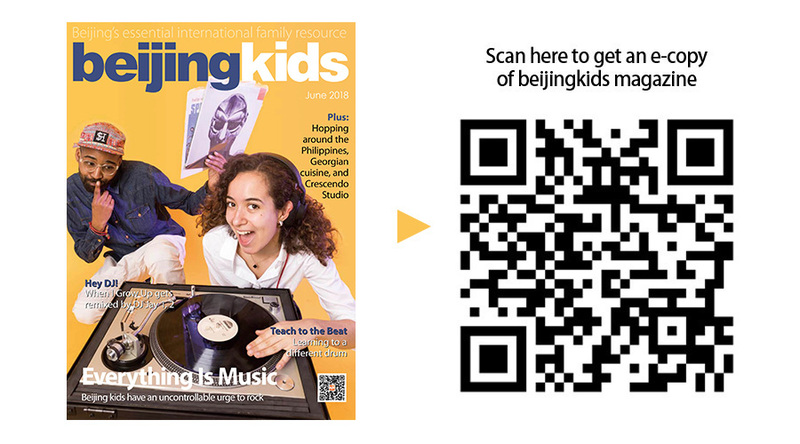 Their sons Paul (age 11) and Romain (9) study at the International School of Beijing (ISB). Did you play an instrument as a child? I started music when I was a child at a local music school in France. There you start with the theoretical classes, learning how to read music, and then follow by the practice of an instrument. I picked the saxophone. Later, I learned guitar by myself when I was a teenager. Does your child play an instrument? If so what, and when did they start? To our surprise, both our sons picked cello. Romain the little one just started, probably to do the same as his big brother. Paul started in 3rd grade when he was 8, and year by year is getting to higher levels. When Paul started I thought he would give up quickly because the technique is not that easy for young kids, but with the strong String Program of the school and his efforts, Paul still sticks to it. Do you have difficulty getting them to practice? Yes, this is not easy every day. Sometimes he would rather to go and play video games. But he likes to practice and to perform to show his progress in front of the family, with Skype for example. One of his grandpas is an ex-professional saxophonist in France and loves listening to him. The family always give him great encouragement. He actually performs regularly with the Orchestra at school, and does some solo performances as well, accompanied by a pianist, at school in front of his peers and parents. His first solo was a good experience for him – not easy, a bit stressful. It is indeed challenging to play together with another musician, to keep the pace, and play accurately. He was feeling proud afterwards. Even if he is still anxious before a new performance, overall I think it is giving him more confidence and will help him in his personal development. Have they taken, or would you consider having them take, music exams? level orchestra at school, but this is something that we have to consider if we move out of Beijing, to have the equivalence and join a music school. How would you respond if they told you they were giving up their instrument? First, I would be disappointed because I believe playing music is a good way to relax, but I would respect his choice. We don’t want to put pressure on the practice of music. We believe (my spouse and I) that practicing and playing music has to stay fun, joyful and a pleasure. I keep saying that music skills will be a great addition for his future life. Sometimes I want to share this passion with him. We tried to start a duo together… we hope one day we can perform together, playing our own creations. What sort of music do they like to listen to? Paul likes a lot of different styles of music: rock, rap, pop, even some French songs from his parents’ influences. We like to go to concerts together. We take him to classical, jazz or rock concerts. He seems to particularly enjoy live music. Do you ever have disagreements over their music, or yours? I like rock, blues, and jazz music. He likes more rap and pop. It sometimes brings some different points of view about the quality of the lyrics, or of the instrument players. It is also sometimes because he imposes his music on the entire family and we have not a word to say. But it is also a real pleasure for Paul to share his music with us even if we are not big fans, we do respect and encourage him to listen and discover new artists. What part does music have in your family life? Do you see music as being important in their future? Music is beautiful and is social. It is a universal language, and it will be a bridge between different cultures. Whatever your nationality, you will see that two people who share the same passion for music will have a lot in common. Linda Li and her husband James Chen both graduated from Tsinghua University. Chen has now founded his own company, while Li has opened a cafe and is also a full-time mother. 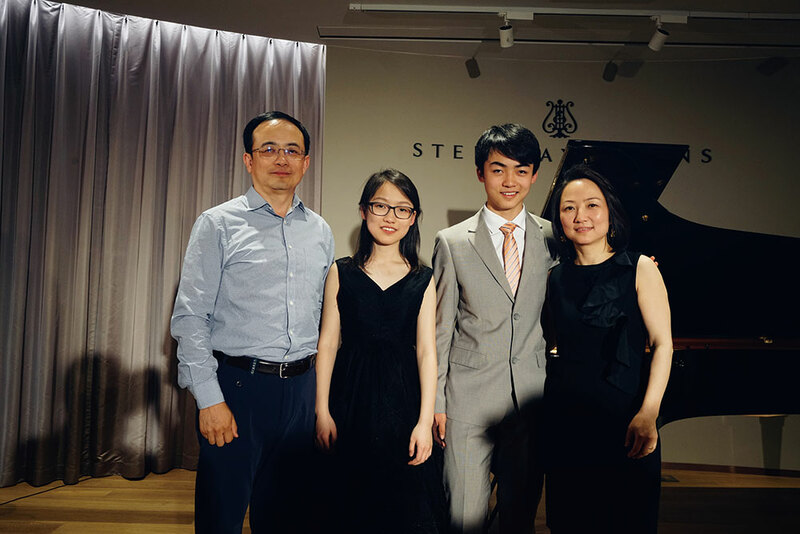 They both love singing, and their passion for music has passed to their children Siqi Chen, who is in grade 11, and Ryan Chen, in Grade 9. I learned to play the violin for a short period of time when I was in primary school. But at that time finding a violin teacher was not an easy thing, so I only learned for about a year, and then stopped when my teacher moved away from my county. I was attracted by guitar when I was in university. The famous “Romance de Amor” was the first touching piece that I had a strong desire to master. My daughter and son started to play the piano when they were in kindergarten. They took a one-hour class every week but didn’t practice too much. Later when we moved to an area near an international school, we had a new piano teacher, who brought my children to a brand new angle of piano studying. I also feel the students’ concerts had a strong influence on my children since they could see a lot of their classmates playing different instruments very well. My daughter especially was deeply touched by the charming melodies. From then on, she became crazily interested in piano and related music. From my daughter’s experience in a top children’s choir for eight years, with the experience of performing with her choir at the National Grand Theatre and The Forbidden City Concert Hall very often, and having traveled to attend an International Choir Contest in Italy, Siqi gained a very good basis in harmony. Then she started to teach herself composition. No. I don’t push them to practice, although now and then my daughter would joke about it. They have performed publicly at school, in the neighborhood, and for charity. Have they taken, or would you consider having them take music exams? My daughter passed ABRSM level 8 with “distinction” in both theory and practice, while my son is about to take ABRSM level 8 later this year. How would you feel if they told you they were giving up their instrument? Well, I would think it’s their choice if they don’t feel the beauty in it. The responsibility of parents is to open enough “windows” to let them see the view, and then let it be their own choice which flower they would like to pick. Classical and pop music are the most frequent kinds of music I see them listen to. No, I believe each kind of music has its own glamor. Music plays a very important role in my family life. We have a background music system in every section of my home, from the dining room to the bathroom, and we have a karaoke system in my small multimedia room as well, which we use for relaxation and entertainment, to sing songs together with family and friends. We also enjoy famous operas and concerts, for example, the Andrea Bocelli Tuscany concert. Sure. Music is my best friend whenever I am happy or sad, and so do I think it is for my children. I believe music will help my children to live a beautiful life in the future.